Christmas is here and it's very Disney! 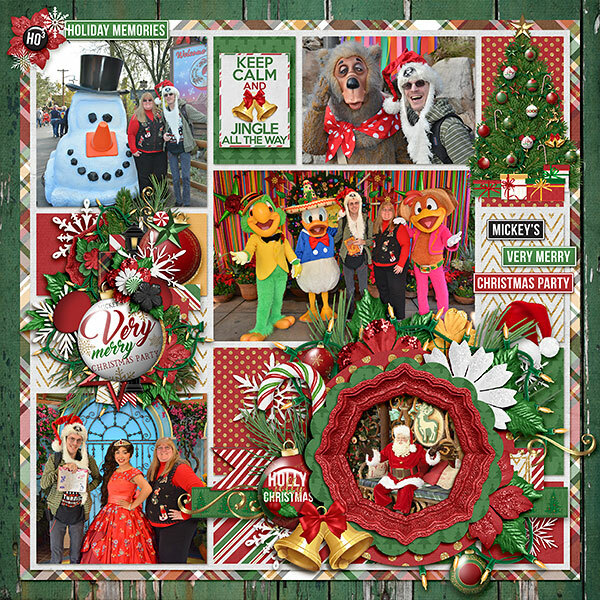 This week, Kelly's newest collection is Holly Jolly Christmas to celebrate the magic of Christmas whether you find yourself in the Disney parks or not. 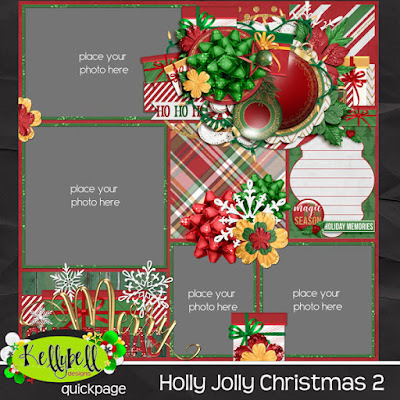 There are countless ways to use these classic Christmas papers and elements to make your holiday layouts very merry indeed! 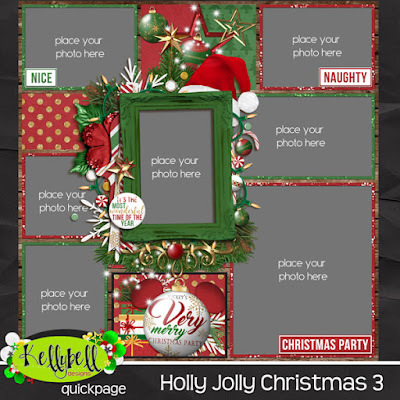 Don't forget to get the Page Starters, Journal Cards, Word Art, Word Flair and Quick Pages to complete your stash! This kit is packed with 15 classic Christmas papers, a full red and green alpha, and over 70 unique elements including bells, bows, candy, candy canes, Christmas star, gifts, holly berry, lamp post, lights, ornaments, pine, reindeer, ribbons, Santa hat, snowflakes, sparkles, stars, tree, tree star, and much more! Now how about some beautiful freebies to coordinate with this new kit? You can find them on Linda P.'s blog and Karen's blog. Have a great weekend and happy scrapping!